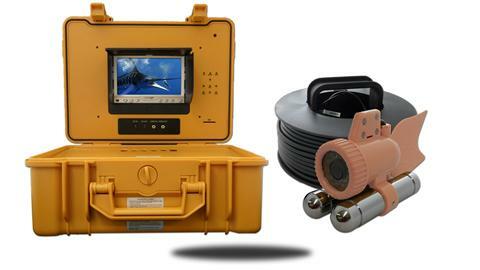 This is a great easy to carry CASE system that allows you to see whats down below. Whether its for fishing or just research, this color kit is a great way to go! You can see the ocean or lake in bright and vivid colors.The rechargable battery allows you to use this for up to 14 hours without a need for any electric outlets. It is also expandable so you can add another camera as well. This has a bulit in DVR as well, so it can record anything you see with the camera!